Our small journal produces a lot of data. We generate twitter feeds, meta-tags and article categories…on and on. Does it have a use? One thing we do at conversationsEAST every month is to run our Twitter generated content through a Knight Lab application called BookRX. (Part of the conversationsEAST team day job is to be booksellers and publishers, so the findings can be used to plan thematic content for our literacy projects, for example…Ed). 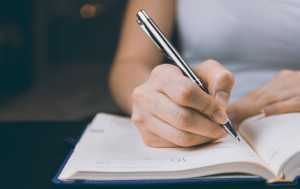 For our journal it can serve the same function, offering insights into subjects that can be useful as leaders to content ideas, or to see if the profile of our readers is on the trend we believe we are following. it analyzes your tweets (the words, Twitter usernames, and hashtags you use) and compares them to terms that are correlated with book categories. … it is a book recommendation app at heart. The results can be interesting. We publish below this months analysis of our journal Twitter feed. We have featured the lead book in three categories; Science and Technology, Politics and Social Sciences and Business. The Mobile Wave – are we immersed already? ‘In the tradition of international best-sellers, Future Shock and Megatrends, Michael J. Saylor, CEO of MicroStrategy, brings The Mobile Wave, a ground-breaking analysis of the impact of mobile intelligence-the fifth wave of computer technology. The Mobile Wave argues that the changes brought by mobile computing are so big and widespread that it’s impossible for us to see it all, even though we are all immersed in it’. 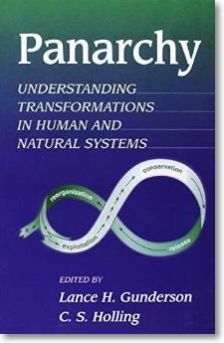 The book examines theories (models) of how systems (those of humans, nature, and combined human natural systems) function, and attempts to understand those theories and how they can help researchers develop effective institutions and policies for environmental management. ‘The first make-or-break step in persuading anyone to do any thing is getting them to hear you out. Whether the person is a harried colleague, a stressed-out client, or an insecure spouse, things will go from bad to worse if you can’t break through emotional barricades. 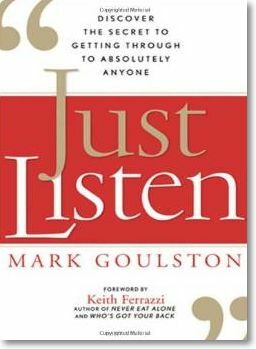 Drawing on his experience as a psychiatrist, business consultant, and coach, and backed by the latest scientific research, author Mark Goulston shares simple but power ful techniques readers can use to really get through to people—whether they’re coworkers, friends, strangers, or enemies’. Getting through is a fine art but a critical one. Did BookRX get the feel of our readership right? The acid test for us is does the machine generated selection have an appropriate ‘RSA feel’ to it? We think it does, providing sources that are appropriately defined through the prism of our journal content. The app also generates selections for sports and fitness, as well as a fiction list. These are a little more difficult to empathise with, although we may publish future lists as book recommendations of regular interest for Fellows, particularly as the volume of our Twitter traffic grows. One charitable application for the technology, we can think of, is to use the Knight Lab service to generate book lists for on-line sale as a fund-raising initiative. Taking the guess work out of list building for your audience? Northwestern University Knight Lab advances news media innovation and education. Developing ideas from experimentation through adoption, the Lab makes technology that aims to help make information meaningful and promotes quality storytelling on the Internet.